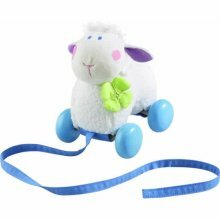 A washable, all natural pull-along toy for early walkers. 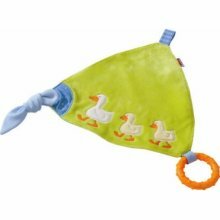 Attaches to pacifier, includes teething ring, wipes up spills, comforts with softness and stimulates baby with crinkly sounds. Gender neutral. Haba quality and design. Perfect shower gift for a baby boy. 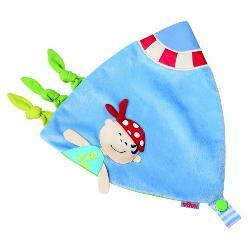 Attaches to pacifier, comforts and pats dry his chin. Haba quality and design. A sweet little shower gift for a new girl. 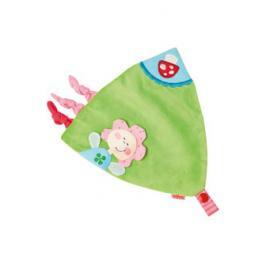 Wipes up spills and comforts her with softness. Attaches to pacifier. Haba quality and design.